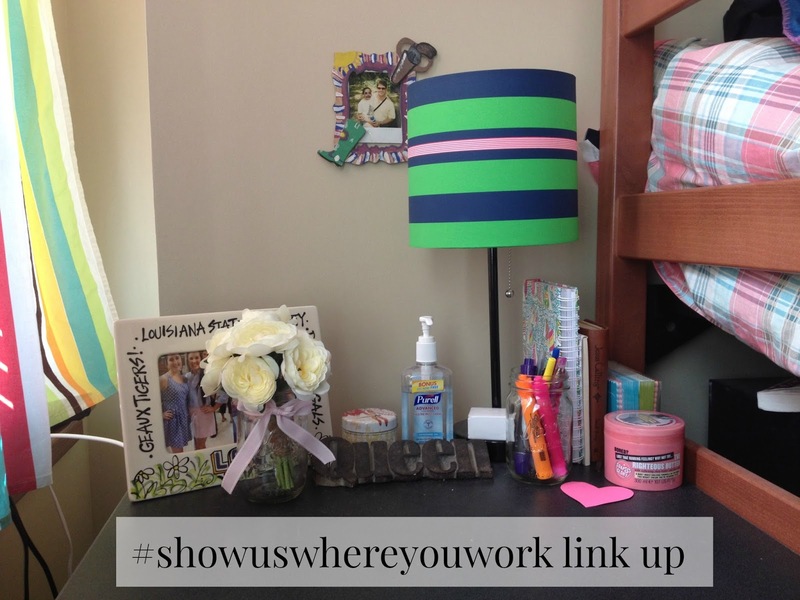 I'm so excited to be taking part in the Show Us Where You Work Link Up courtesy of Life with rMe, Prep in your Step, and East Coast Girl in Pearls! 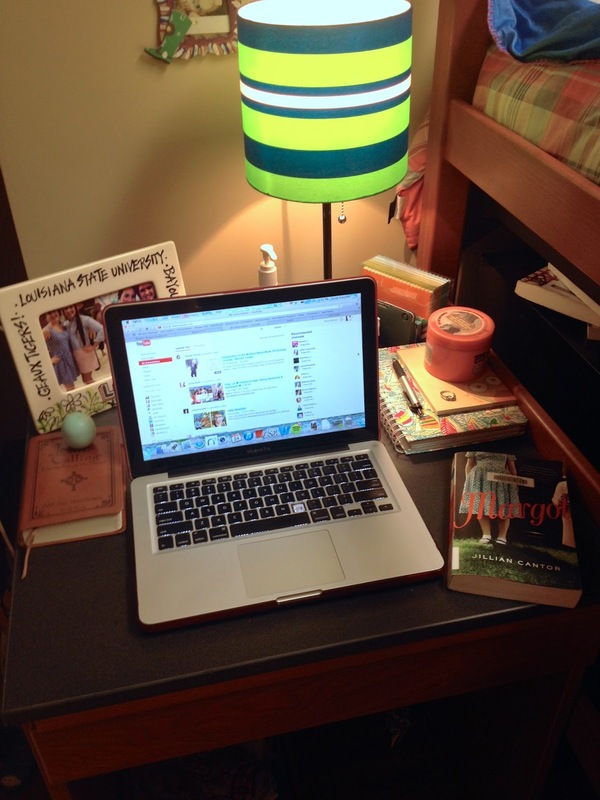 Along with the questions that go with the tag, I thought I'd show you the progression of my work space both at home and in my dorm! 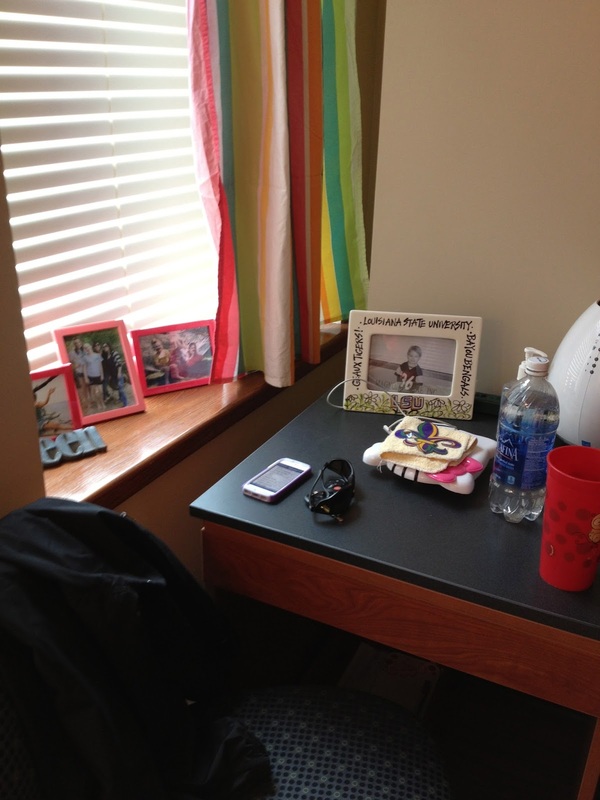 My desk and window sill on move in day! A bit shabby but I love having the window! Most of my work gets done in my bed. I only work at my desk if it's serious crunch time and I need to really zone in! My desk about mid-year…still no picture in the frame. My window sill mid-year. Takes away a bit of the light but makes storage SO much easier! 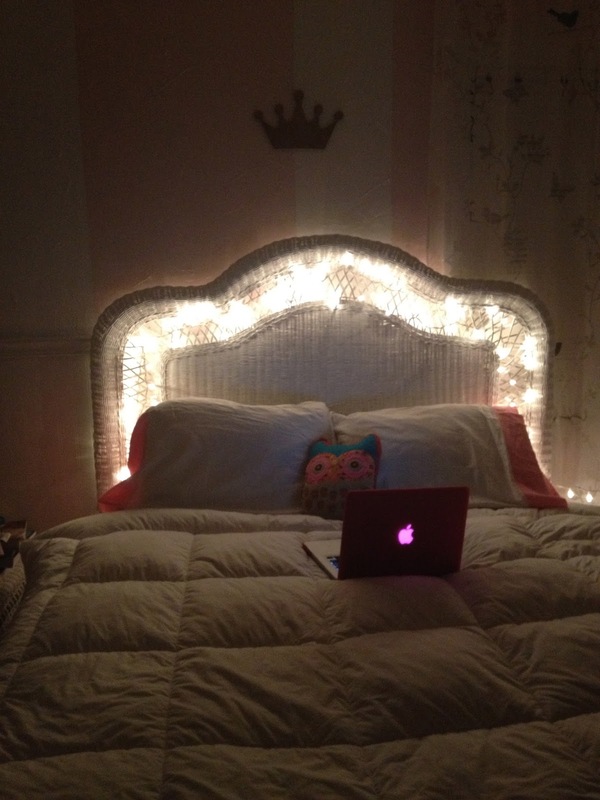 My bed at home…gold, pink, fairy lights, eek! 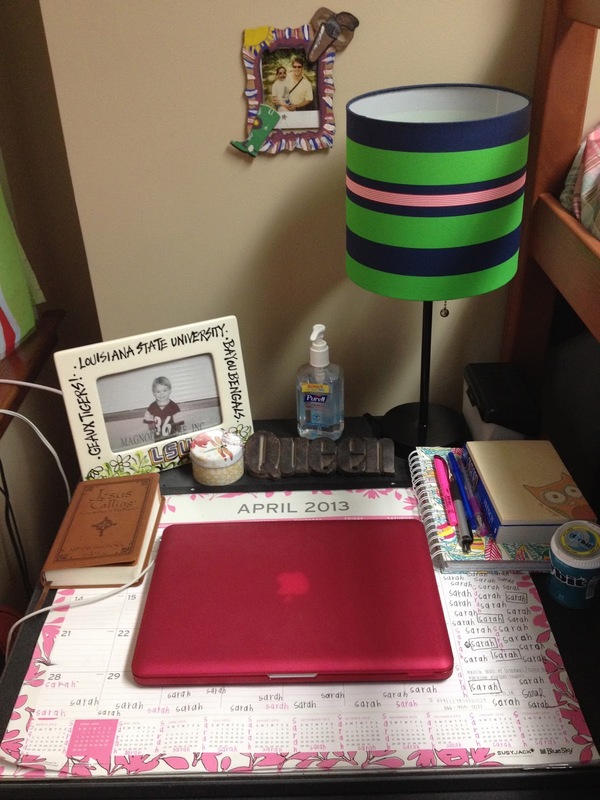 My desk on a normal day…full of stuff! Ahh! Here's most most recent (and cleanest) picture! I love my little flower bouquet AND I finally got a picture in that frame! Stacking my things by my lamp makes for so much more space beside my computer! 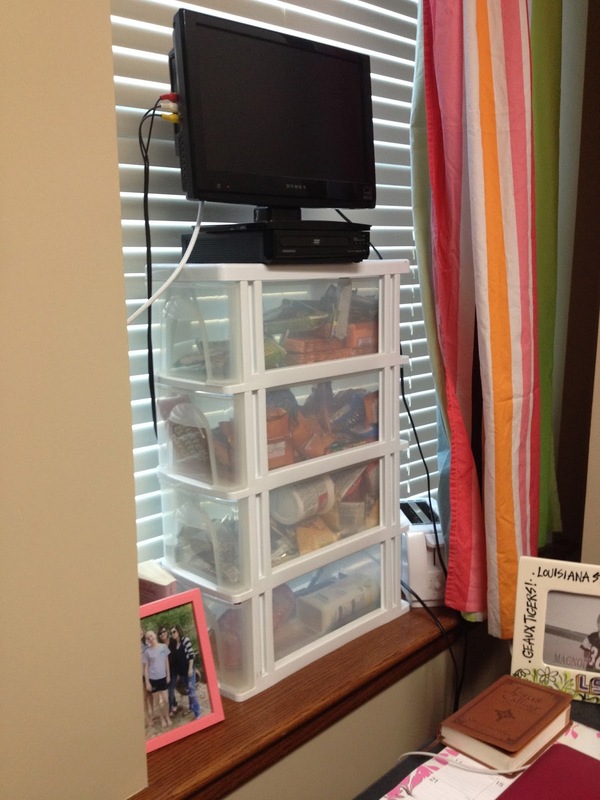 And putting all my pens/penicls in a jar saved them from rolling all over the place and adding clutter. My note cards and Chi O notes! My bed. Always. If I need to get serious (rarely), then I move to my desk. 2. Do you prefer a sleek desk or you more of an “organized chaos” kind of person? 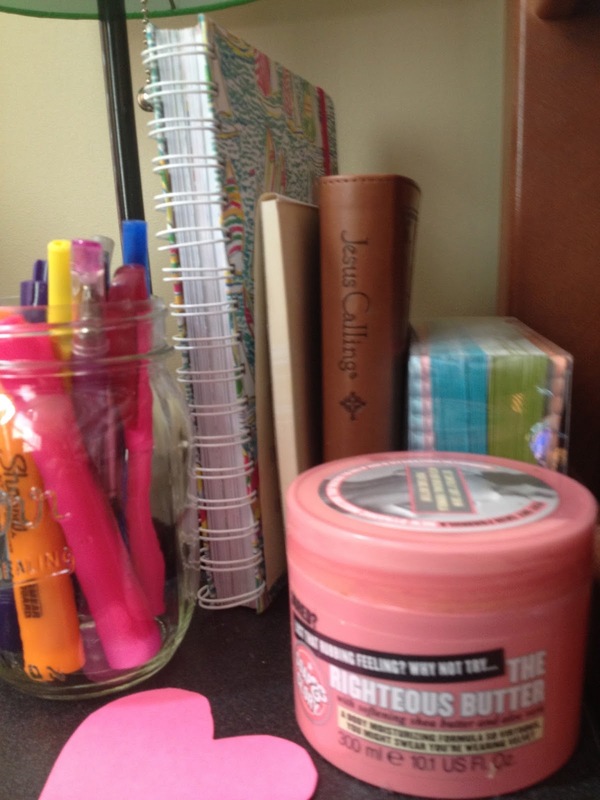 I can focus much better when my desk and area around it is clean. When I'm working in my bed, I only bring up what I need, so it's fairly organized, but my desk can be a bit of a "catch all", so I try t organize and de-clutter it before I study. 3. What is your favorite kind of writing utensil? I used to love the uni ball fountain pen type ones, but then they started being very splotchy on my paper and that is a no-no. Right now I'm into just the cheapy Bic ones! They work so well and cost so little! 4. Show us your calendar or agenda! 5. And just for fun, what are you looking forward to most about spring? And yes, I totally wrote this post while lazing around in my bed. Thanks so much for linking up! My bed def. becomes my working space a lot too! so cute! I am also a Chi Omega (at UVA)! I love your lamp! So glad you linked up! I loved reading your post. Oh my bed was def my desk in all my years at university even in shared housing. Loved it, had notes, books my laptop everywhere all over it. Best work space i've ever had! 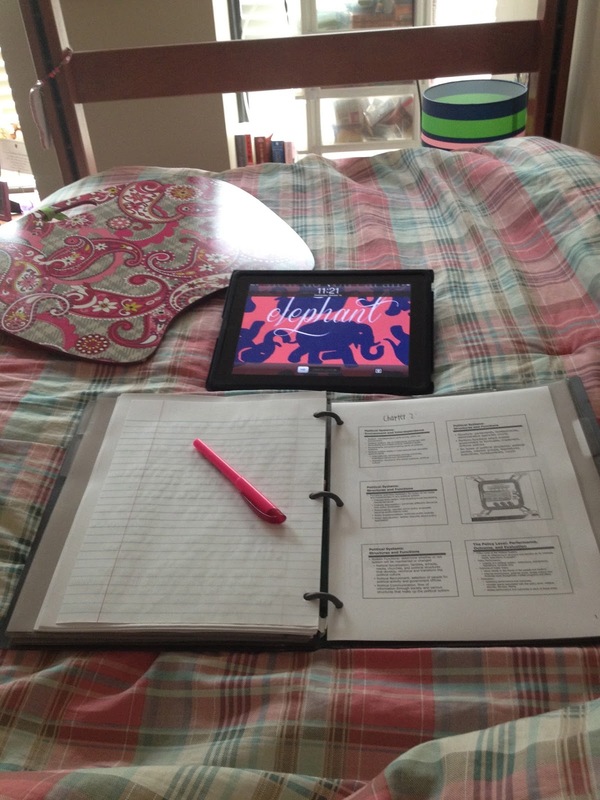 I'm the same - I tend to work from my bed throughout the semester but when it comes to deadlines and exams I have to move to my desk to properly focus!